This year Bermuda will host the 35th America’s Cup, the ultimate sailing competition, and to celebrate the event, TAG Fine Arts, in association with the Hamilton Princess Hotel, has commissioned a series of new artworks by Ewan David Eason, which will be exhibited from April 2017. Six cities – each representing one of the competing teams – will be mapped in brushed gold, with the home base of each team at the epicentre. 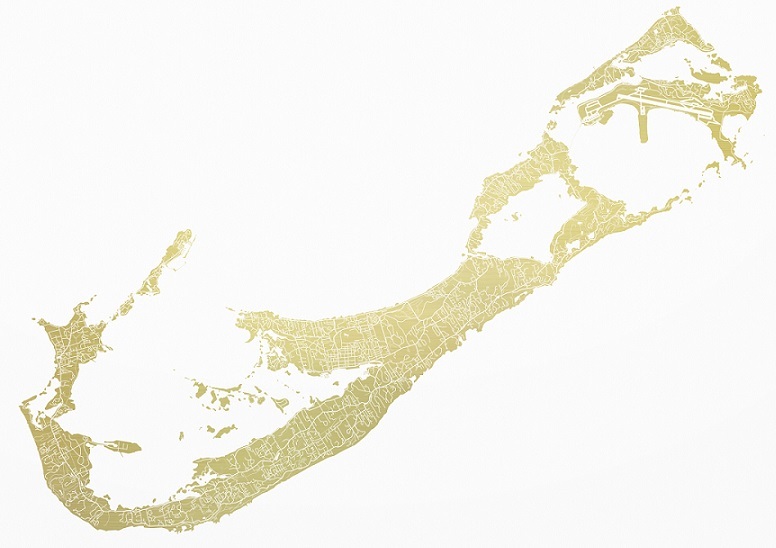 Eason has meticulously re-created maps of Auckland, Lorient, Osaka, Portsmouth, San Francisco and Stockholm, alongside the host nation, Bermuda. These extraordinary works bring a new perspective to the traditions of cartography. Eason’s recent work has been inspired by the intricacies of mapping, and displayed in some of the UK’s most prestigious galleries, including the Royal Academy, Christies and the Barbican. This series will preview at the London Art Fair from January 18 -22.